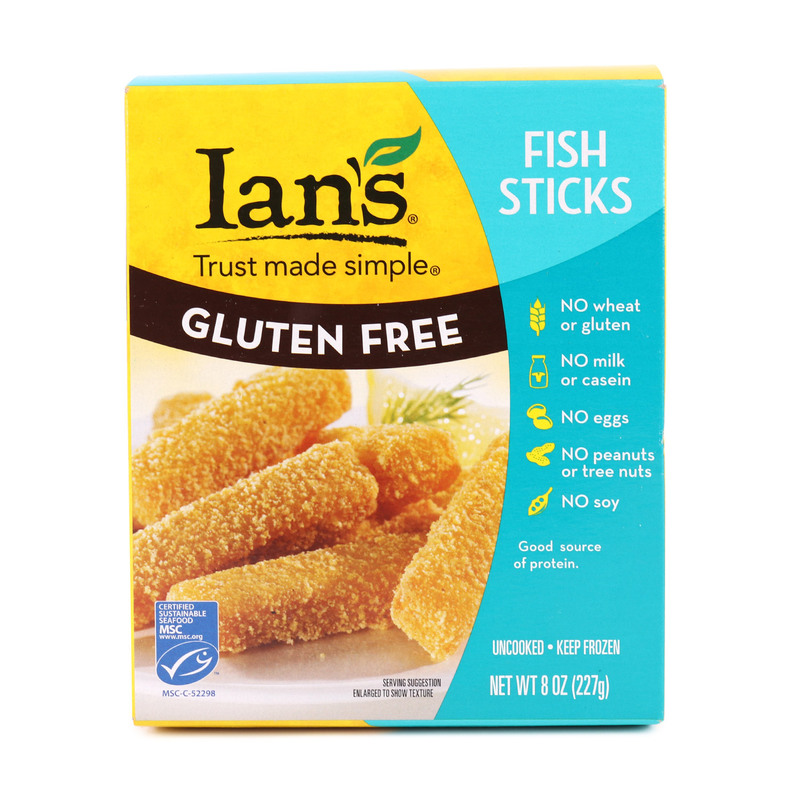 These gluten-free fish sticks are cut from whole fillets of MSC-certified sustainable Alaska pollock, then lightly breaded with crunchy corn breading. 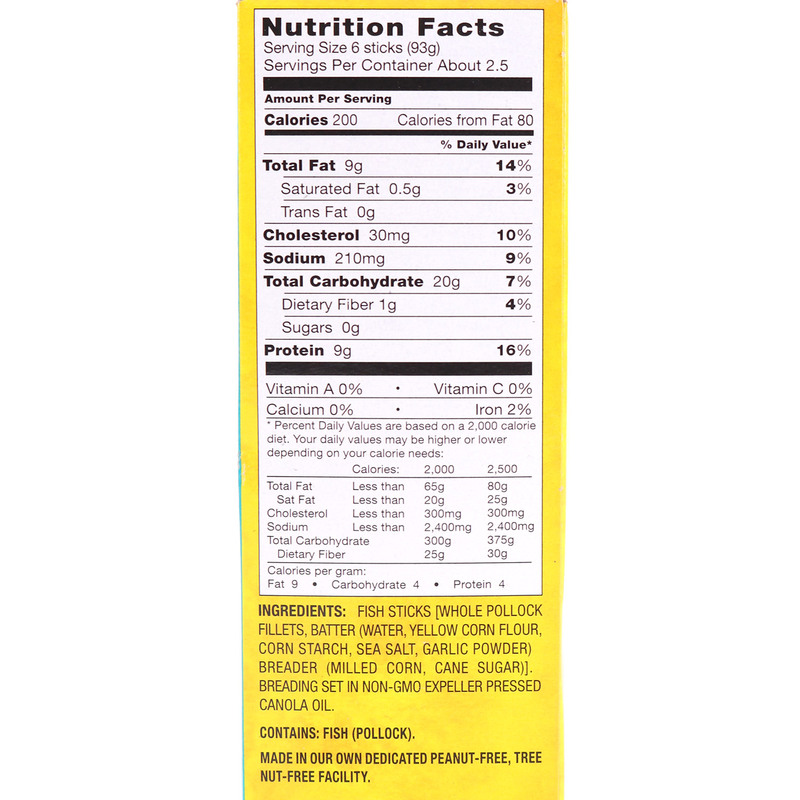 Fish sticks [whole pollock fillets, batter (water, yellow corn flour, corn starch, sea salt, garlic powder) broader (milled corn, cane sugar)]. Breading set in non-geo expeller pressed canola oil. Contains: Fish (pollock). Made in our own dedicated peanut-free, tree nut-free facility. Gluten free.